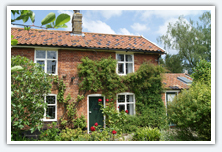 For a relaxing holiday in stunning scenery or a weekend of fantastic walks, our Suffolk cottages are situated in secluded spots close to Southwold, Dunwich, Halesworth and RSPB Minsmere. Renovated and updated, our cottages provide luxury in a homely atmosphere, making them a perfect base to explore the area, as well as a cosy cottage to curl up in for a week! This 17th century cottage in Middleton takes its name from a local shipwreck, the timbers of which were used in its construction. Sleeping four, its quiet, charming location makes it an ideal base for family getaways. 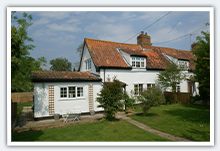 Set in the centre of the quiet village of Blythburgh, close to Walberswick and Minsmere; Chantry Cottage is a delightful, late-Georgian detached cottage sleeping four and steeped in history and character. 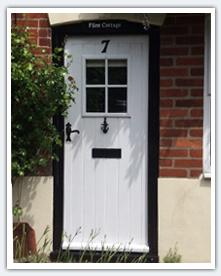 A charming one bedroomed cottage set in the delightful village of Wenhaston near Halesworth. Only 10 minutes from the coast, this cottage has a secluded East facing garden and is perfect for walkers, cyclists and romantic getaways. Contact us today to book, or to find out more about our amazing cottages!